Saturday and Sunday by call only. Just South of Co. Highway P on East side of US Highway 141 in Beaver, WI. If coming from the South, we are just after the four lane ends between Pound and Crivitz. 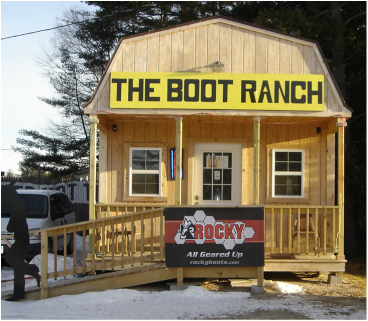 Serving Northeastern Wisconsin, and Upper Michigan with quality footwear and service. We have in stock Cowboy Boots for Men, Women and Children. Also in stock work shoes and boots with a variety of safety features available. Also some casual wear available in store. There's much more to choose from in store than what is featured online. You can email inquiry's to the man with all the answers directly from the website! Stop in and see if we can help you find what you need. We provide leather repair services, and we can have your soles replaced for you. We strive to fit you with the product that will serve your needs. There are many more styles available in store, and you may special order as well. We will do our very best to serve your needs. Also in store we sell various accessories, including laces, polish, arch supports, quality socks and much more. Please feel free to stop in and take a look at what we have to offer, and as always, we thank you for your patronage! We do have a 30 day return policy, except in certain situations at our discretion. In store credit or exchanges within 30 days. Free shipping on purchases over $100.00. $15.00 shipping on each order under $100.00. If you don't see the size or style you're looking for, contact us with the form below, or call us.